Buster And I would like to welcome you to Country Florist! We take extreme pride in our work, and strive to deliver upstanding and memorable customer service. When you have a message, that can only be said with flowers, you can trust that your order is in good hands (Or in Buster's case, good paws!) Whether you're looking to send condolences, congratulations, passion, or just because -- rest assured that Buster and I are here to serve you, and we are honored to be your premier local florist! 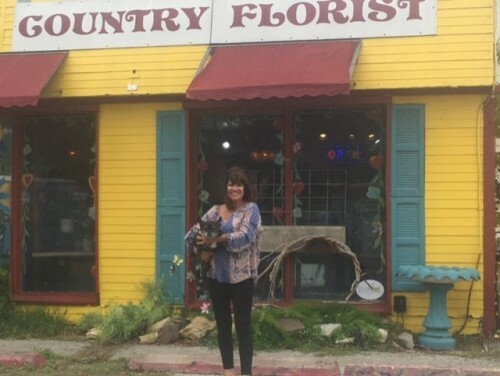 Country Florist is a leading full service florist proudly serving Sherman, Texas and surrounding areas for over 40 years. Whether you prefer something time-honored and traditional or contemporary and modern, we will gladly design an arrangement with you in mind. 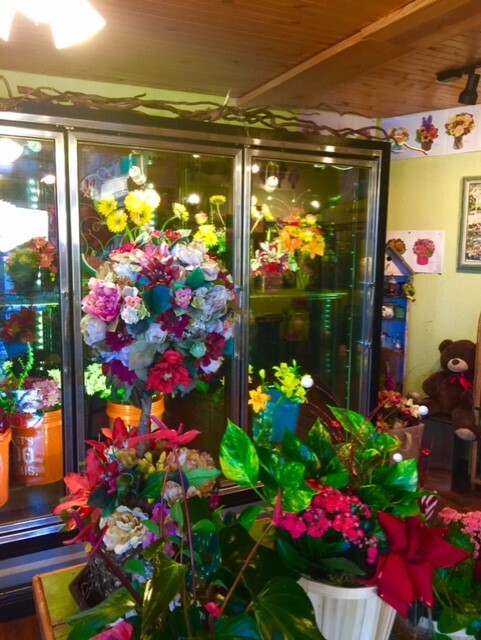 Our shop specializes in lush garden baskets of assorted plants, adorable novelty baby arrangements, and unusual designs with exotic tropical flowers. 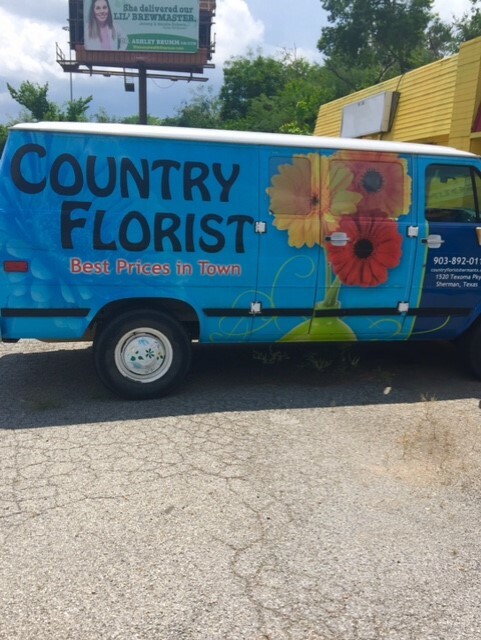 At Country Florist, you'll find amazing floral arrangements for all ages and occasions, including sympathy, weddings, anniversary, birthdays, get well, new baby and just thinking of you. Also, look to us for unique gift ideas that are appropriate for a woman, man, or child of any age. Show your everlasting love with beautiful Wedding Flowers from Country Florist! When you're ready to start planning your dream wedding or other special occasion, call our shop in advance at 903-892-0114 or 1-877-892-0114 to schedule your consultation. We also offer very affordable prices on a full line of tuxedos. Choose f rom a variety of gourmet baskets, fresh fruit baskets or personalized gift baskets. Ask about our really cool “Exam Cram Gift Baskets" - chockfull of your student’s favorite cookies, cakes, candies, snacks, juices, soft drinks, etc. Let us deliver one of our attractive and tasty gift baskets for you... they're hard-to-resist anytime of year!